Find the best savings rates and deals fast with our 'no nonsense' tables detailing all the latest offers from the banks, supermarkets and building societies - save hours searching as we show the best offers in town - and remember - we are totally impartial and feature all the best offers we can find in the market without fear or favour! It's an account where you do not need to give notice to withdraw money. This means it's a great place to keep savings which you think you may need to draw on at short notice, and typically people use these accounts for rainy day money. What's the difference between an IEA and an ISA? An Instant Access Account (IEA) allows you to deposit money and withdraw it whenever you want to. However you will pay tax (assuming you are a taxpayer) on any interest earned. 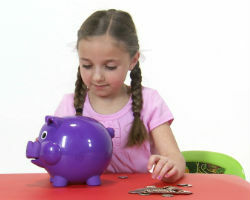 An ISA (Individual Savings Account) has strict rules about how much can be deposited in it each year and if you withdraw money from an ISA you cannot redeposit it. However, you can avoid paying tax on the interest the account pays you. More information on ISAs can be found on our cash ISA page. It depends on the bank, building society or other financial institution you are using. With some it's online, some it's by telephone, whilst some allow you to withdraw your money using a cashpoint card. Consider what will be the best for you at the time you open an account. Money held with UK institutions is almost all covered by the UK Government Financial Services Compensation Scheme (FSCS). The FSCS can pay compensation to depositors if an institution is unable to meet its financial obligations. Most depositors - including most individuals and small businesses - are covered by the scheme. In respect of deposits, an eligible depositor is entitled to claim up to £85,000. For joint accounts each account holder is treated as having a claim in respect of their share so, for a joint account held by two eligible depositors, the maximum amount that could be claimed would be £85,000 each (making a total of £170,000). The £85,000 limit relates to the combined amount in all the eligible depositor's accounts with the company, including their share of any joint account, and not to each separate account. It's worth bearing in mind that this protection is often shared between different companies within the same group - so, for instance, Halifax and BM Savings share the protection offered by the HBOS group, and Cheshire Building Society, Derbyshire, Dunfermline and Nationwide Building Societies are all protected by the one Nationwide protection scheme. So, if your savings add up to more than £85,000, it's worthwhile knowing who the organisation is behind your account.